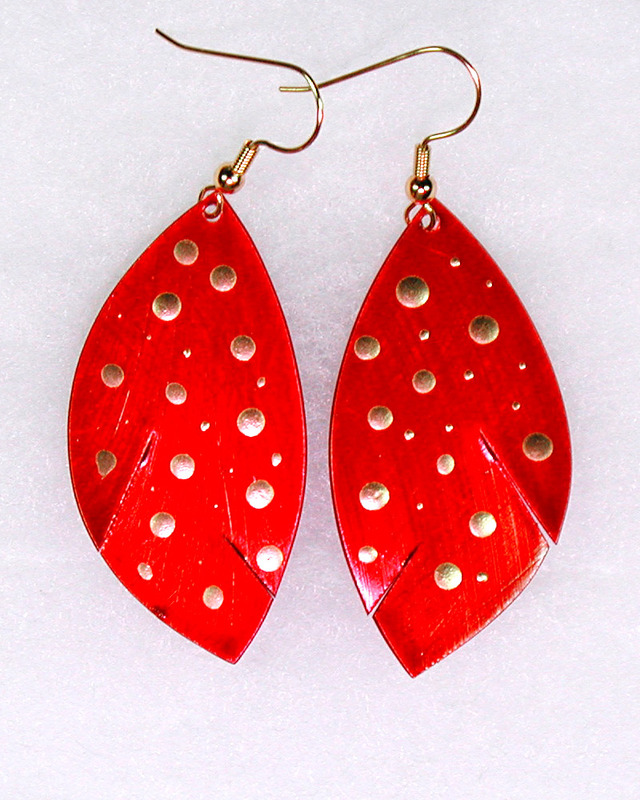 These are candy apple red earrings with various sizes of gold dots. 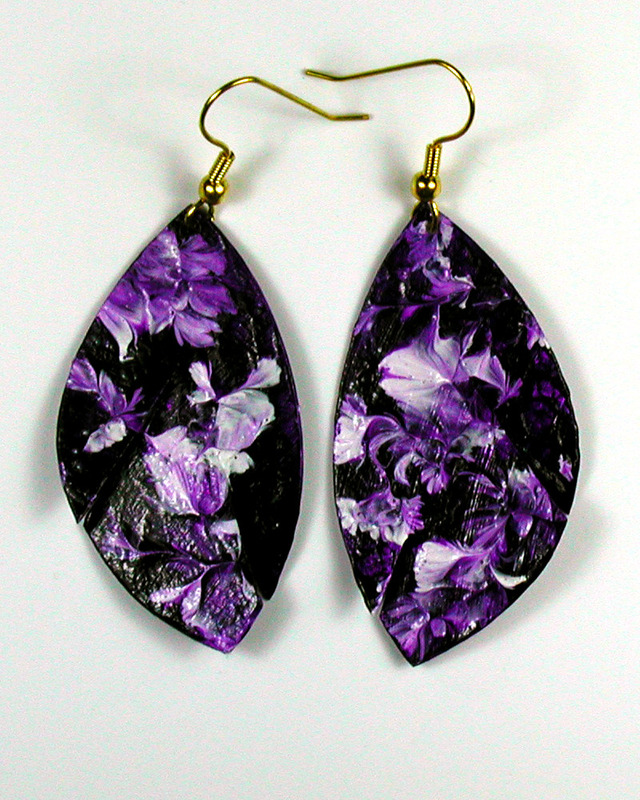 [The picture does not show how beautiful this color combination really is]. 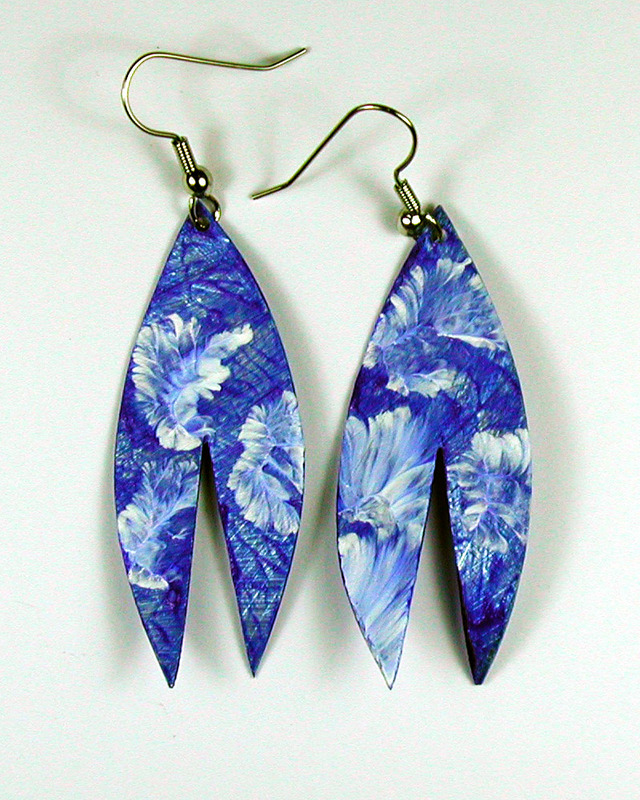 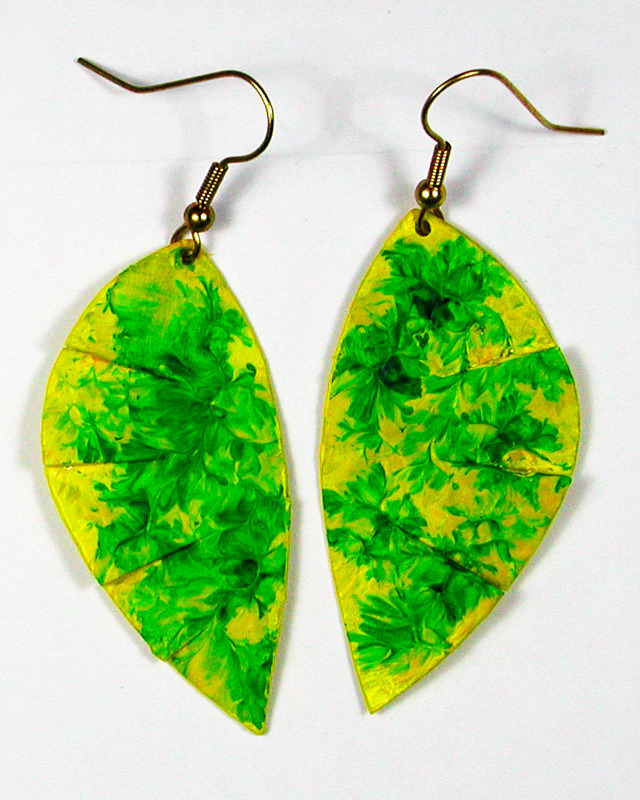 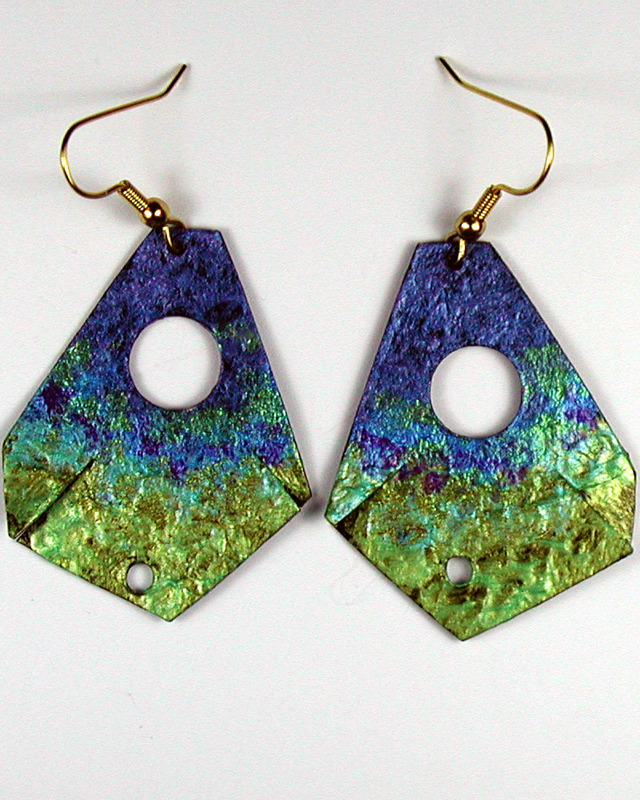 They are hand-made, exceptionally high quality earrings made from very lightweight and durable brushed aircraft aluminum.